The Yorkshire Dales are brooding, rugged and dramatic. This ancient, unspoiled landscape offers many attractions, walks, peaks and valleys. The gritstone and limestone scenery of the Yorkshire Dales covers 683 square miles and is the third largest national park after the Lake District and Snowdonia. Ribblesdale is dominated by the ‘Three Peaks’ country. The well known trio of mountains may dominate the scene but there is so much more to discover. Waterfalls, limestone pavements, the famous Norber erratic boulders and the Ribblehead Viaduct all vie for visitor’s attention. The Ribblehead Viaduct is a railway viaduct over the River Ribble. (Which is a bit of a tongue twister!) The first stone was laid in 1870 and was an impressive feat of engineering. The foundations for this huge viaduct had to be dug deep (up to 7.5 metres) into the peat and clay down to solid rock. The limestone masonry brought from nearby quarries was laid on concrete foundations and steam powered cranes were used to lift the blocks into place. If you fancy exploring a less known place in Ribblesdale, the Gaping Gill is a massive pothole in the side of Ingleborough, created by erosion of the limestone over time. A stream still cascades through Gaping Gill, forming the largest unbroken waterfall in England. A sight to behold, the waterfall rushes into a huge labyrinth of underground caves. Inside, light streams through the gaping mouth reflecting a million colours full of inspiration. If you’re a budding adventurer then embrace the ropes and winch and descend into the Gaping Gill. If you’re more of the artistic type, I don’t need to tell you what amazing snaps can come from such a natural and phenomenal occurrence. Exploration is normally reserved for experienced cavers and potholers but twice a year the cavern under Gaping Gill can be visited by tourists. Bradford Pothole Club and Craven Pothole Club set up a winch and you can enjoy the spectacular underground world. With this site only being opened to the public twice a year, it really is a hidden gem of the Dales and you will be one of the select few to have delved into the depths of the Gaping Gill. Situated among dramatic limestone countryside, the market town of Settle is the starting point of the famous Settle- Carlise railway which weaves its way through the western dales and crosses the Ribblehead Viaduct. With the museum, historical buildings and narrow back streets, Settle is a quirky mix of galleries, cafes, outdoor suppliers and local produce. Malhamdale is famous for its limestone pavements and crags. A mustsee sight is the natural limestone amphitheatre of Malham Cove which is also home to the very rare peregrine falcons. The towering gorge of Gordale Scar is another striking feature of Malhamdale and is within walking distance of the pretty village of Malham, perfect for an afternoon visit. Wensleydale is a lush sweeping valley, distinct for its wooded knolls and hidden waterfalls; the most picturesque being Aysgarth Falls. Aysgarth Falls are a triple flight of waterfalls surrounded by forest and farmland, carved out by the River Ure. Most scenes and walks are better when it’s dry but a tip for this view is it’s spectacular in the wet weather. This is because thousands of gallons of water cascade over the limestone steps for an amazing sight. Ruskin, Turner and Wordsworth all visited the falls and spoke of their outstanding beauty, it has been featured in Robin Hood: Prince of Thieves and the BBC programme Seven Wonders. The falls are a product of the Ice Age; several thousand years ago great rivers of ice ground down the inside of the valleys and created the waterfall as we see it today. For many, Wensleydale is synonymous with the crumbly cheese, my favourite with cranberry but although the history of the cheese-making monks is incredibly interesting and the cheese incredibly tasty, the hidden beauty of Wensleydale’s falls is worth taking note. Hawes is the home of Wensleydale cheese and is a thriving market town these days. It is also home to the 18th Century water-powered cotton spinning Gayle Mill. Converted to sawmill and electricity generation with original working Victorian turbines, line shafting and woodworking machinery. Hawes is also famous for its ‘chocolate box’ appearance and for developing the ancient art of rope making, a craft which has been passed through the ages and still attracts plenty of visitors today. Across the river rises the imposing Bolton Castle, a sturdy 14th century fortress, built around a quadrangle with four square towers, where Mary Queen of Scots was imprisoned for six months in 1568. 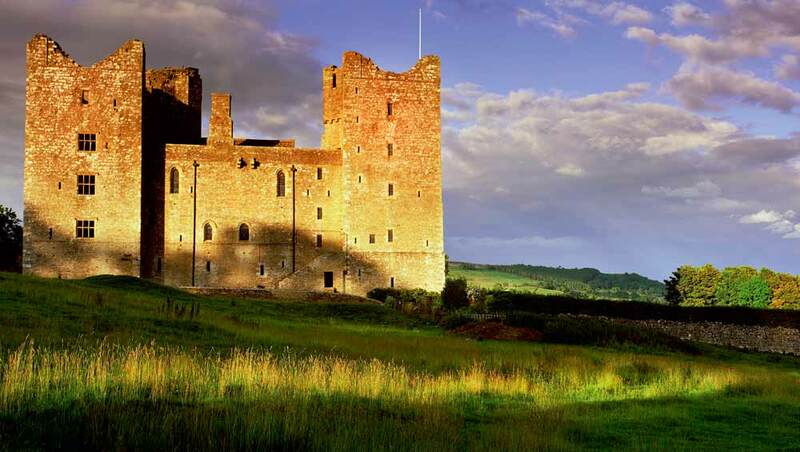 You can take a medieval tour of the battlements, dungeons, medieval gardens and the maze, but what you might not know about Bolton Castle is that it would actually be useless had it been invaded. Despite its formidable appearance, it was built more for show than anything else, a way of keeping up with the Joneses, however as a defence it is lacking and basic. It lacks a moat or a ditch of any kind to prevent the use of siege towers and there is no drawbridge so portcullises are situated externally whereas internal ones are stronger. It was built to deter the greatest contemporary threat, the Scottish raiders, but in actual fact, it only gave the facade of protection. Grassington is a welcoming and bustling village, with pubs, shops and cafes sitting within Grassington National Park Centre. Visitors can enjoy a picnic in a meadow or follow the walled lane snaking down to pretty Linton Falls for a short stroll. A famers’ market takes place in the village on the third Sunday of every month and there are exhibitions and theatre as well as the Upper Wharfedale Folk Museum in the village square. is a large limestone cliff called Kilnsey Crag, around 170 feet high. West from Kilnsey towards Malham Tarn runs the historic Mastiles Lane, a Roman marching road. This is now a Dales walking track. The Old Hall in Kilnsey was medieval administrative site for wool trade. Skipton is the perfect gateway to the Dales, originally a trading centre for sheep and wool, this small town has retained its nostalgic cobbled streets and buildings dominated by Skipton Castle but the draw of Skipton also has to be the unique shops, quirky boutiques and the traditional market- all within a hair’s breadth of the breathtaking walks. Bolton Abbey is just down the road from Skipton and plays host to the ruined 12th century Augustinian Bolton Priory. With just over 30,000 acres of countryside and 80 miles of footpaths, it’s an excellent place to stroll around and soak up the history and views. It’s a great day out for all the family, with tea rooms, restaurant and gift shops. It reminds me of being a child; as soon as there was the smallest sunshine, we would all trundle out in the car for an escapade round the ruins and over the stepping stones to sunbathe by the river. We even had our very own family rock to sit on and if one summer’s day we arrived to find another family on ‘our rock’ there would be trouble! Finally, Nidderdale is the forgotten dale with its breathtaking scenery and winding country lanes. Nidderdale takes its name from the River Nidd and has been designated an Area of Outstanding Natural Beauty. Amidst the patchwork pattern of dry stone walls and broad, green meadows is a multitude of little towns, and the Nidderdale Museum offers an authentic taste of early life in the Dales. 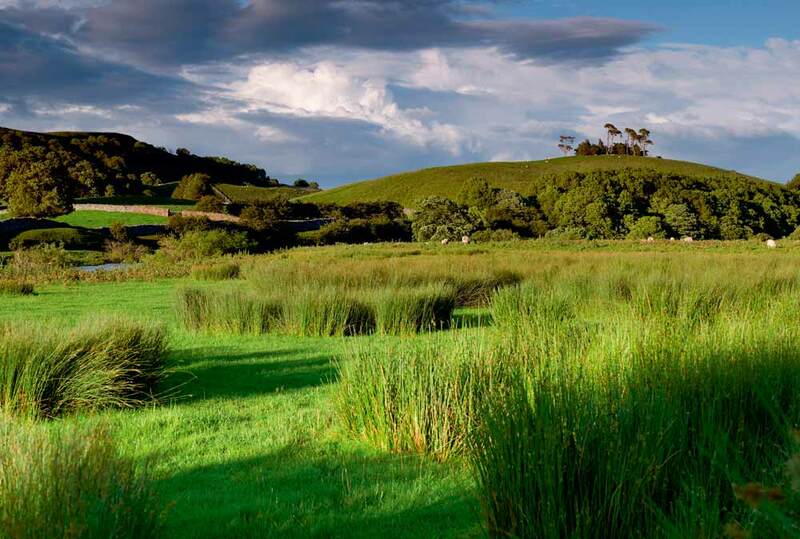 At the head of Nidderdale is the highly prized bird sanctuary at Gouthwaite Reservoir. Nature in the Dales is paramount and here it is even more so. The River Nidd feeds this water paradise, having already passed through Angram and Scar House reservoirs before flowing through Lofthouse and Ramsgill. 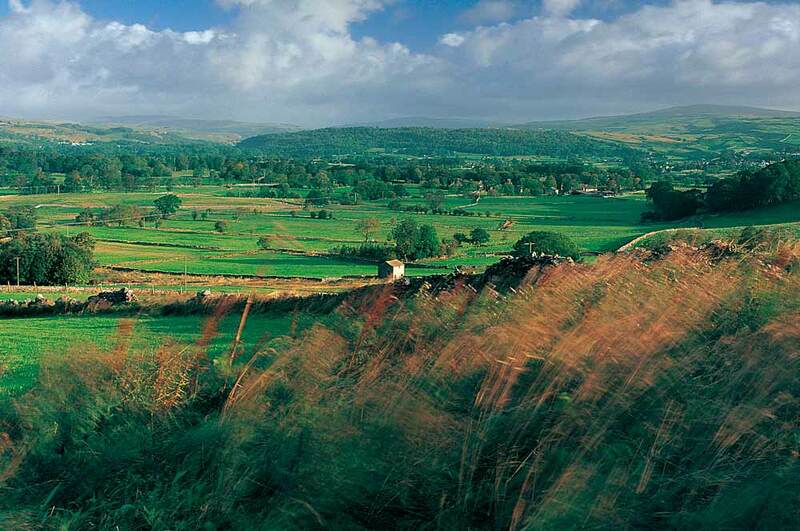 The Yorkshire Dales are nature’s gym and steeped in accessible history for you to explore. With the places you know and the spots you don’t, it makes a varied day out for anyone. The images for this feature were provided by The Yorkshire Dales book by Mark Denton, stunning photography and insight into the epic countryside around us.